Last week was one hell of a ride that we’d never forget for a long long time. It was intensive and exciting! No, we didn’t have a party; it was bigger than that! We spent the whole of last week helping Startups realize the awesome potential of social media by connecting them with industry experts who have spent countless hours building brands on social media. Not one… not two… but 25 Startups got private mentoring sessions from 13 industry experts. Well, the awesomeness levels surpassed that of Gravity, Avatar and Dark Knight Rises put together. And I am just being humble here. To start off with, it was entirely private. No group fireside chats where one speaker talks on and on while others listen. This private chat involved the Startup, the mentor and of our team member (since we are the facilitators). The entire discussion was centred around that particular startup and its business goals. And this mentoring happened over a Google Hangout; the event was truly social in all the aspects! And since it was online, We lifted the location barriers and helped Startups from all across India to participate in this activity. In fact, we had one session where the mentor was in Mumbai, the startup was from Pune, while our team member was sitting in Hyderabad. Even the Internet Gods worked in our favor and only 2 sessions had connectivity problems. Still think online events can’t work in India? And while this coolness was happening, CNBC Awaaz picked up the activity & covered it for their Awaaz Entrepreneur show. It was really nice to see Startups from varied backgrounds participating in the activity. From a CRM tool to an NGO, from an Education startup to a F&B business owner, we had a varied bouquet of Startups looking to get mentored. And they were very excited! Some were scribbling notes during the hangout, some connected from coffee shops because they couldn’t reach their office on time, some had their teammates plugged in. They had this hunger to gain knowledge which was simply amazing. I absolutely loved talking to Ankita. She not only gave gyaan but gave actionable gyaan, almost a month of social media content bank, which I am excited to work on. And yes, pls pls host such sessions, these are immensely useful. Especially something like social media, which is a black box for all us non-creative, busy entrepreneurs. I feel that these sessions will be useful for any startup or companies looking to connect with industry influencers as validation of market strategy from industry experts gives you a lot of confidence. The Mentors.. Well, They Rocked It! The mentoring sessions were meant to be of just 30-minutes. But none – I repeat, NONE – of our mentors raised their hands up after 30 minutes and said “Time Up!”. They were just so engrossed with it that they forgot to keep track of time. Most of the sessions were of 45 minutes while a few even stretched beyond the 1-hour mark. I enjoyed it and hope the startup that took part found value from the exercise. I think for companies starting out and trying to build traction through social, it is a fantastic initiative and you guys should build on it. Thank you for the opportunity. I think this was a good initiative to help SME’s. Based on my discussion during the session, I felt that a lot of SME’s like Phenomindia [the mentee] exist in the market place. An opportunity does exist in hand holding & mentoring them. It will be a great initiative by Social Samosa to continue organizing such events on a regular basis. The team was on its toes throughout the week. All the regular operations had to go on as usual and then we had this mammoth task added to it. Midnight oil was burned. A lot of midnight oil was burned. And we pulled it off. We at Social Samosa love doing such things since it gives us immense pleasure seeing people grow using social media. And being bootstrapped, Startups deserve it the most. Well, we realized that doing such an activity once a year won’t benefit the ecosystem much. So we are planning to awesomize the entire experience by throwing it open for the entire year. We are thinking of having mentors available throughout the year and you can request a mentoring slot with them. We will arrange for a time and date accordingly. But we are still trying to figure the logistics of it, should we do something like this? 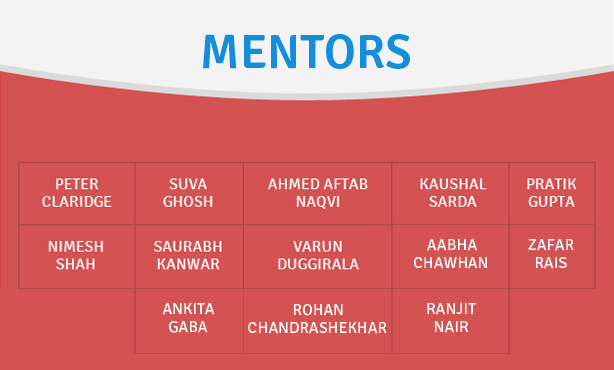 25 Startups were mentored by 13 industry experts through private Google Hangouts on their social media strategy. Startups gained a lot of real business value. Mentors shared their knowledge and loved the entire activity. We gained lots of points in our Karma bank. We are thinking of doing this throughout the year.